3 Major Reasons, You Should Pursue BBA after 12th !! Confused in selecting the right course for further studies? 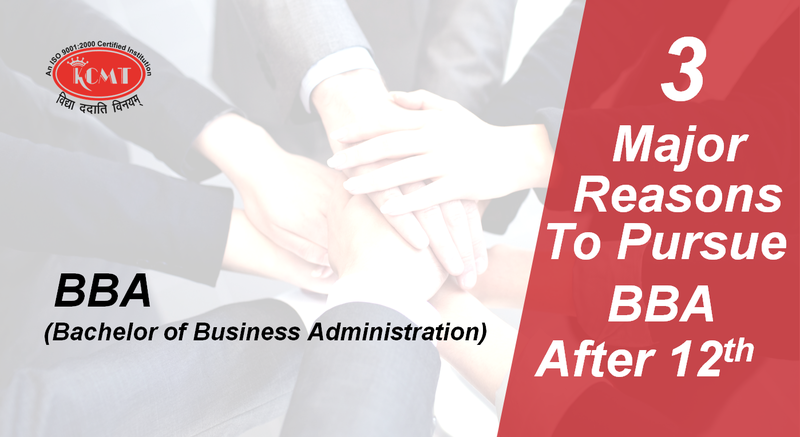 Don’t Worry, have a look to these 3 major reasons that lets u know – why you should go with BBA after 12th. The only thing that you’ll select after completing your studies is either JOB or Business, so why don’t you study what actually makes you aware about the reality of corporate world or of market. Because ultimately being on job or being a business man you’ll need knowledge that BBA provides. A greater advantage, you derive from pursuing BBA is development of your skill set. In order to perform number of tasks, various skills are required that a course like BBA develop them all. Such as – Confidence, Presentation Skills, Communication Skills, Leadership Skills – These skills helps you confronting all the challenges of market. One major problem that every student confronts after completing their studies is – Not getting Job. But the course BBA serves this purpose wonderfully as the corporate promptly hires the student with BBA in qualification. 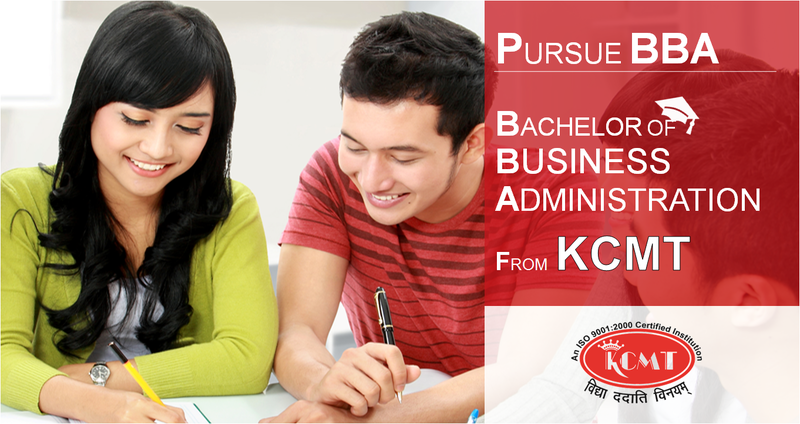 Is BBA in MANAGEMENT, The Right Degree for YOU …??? Have you just completed your 12th? Confused regarding the right choice of course for your career or planning to do BBA…??? if yes, then here I am going to tell you if BBA is really the right degree for you or not. 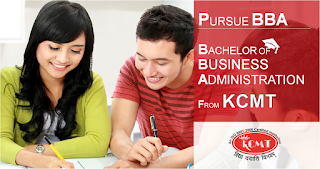 BBA or Bachelor of Business Administration is a bachelor’s degree in Business Administration. This course is for students who have good managerial skills or wants to develop the same. The Course mainly focuses on making students industry ready as well as developing their overall personality. BBA is a comprehensive course which aims to better equip the student with other aspects of business besides finance like Human Resource, Marketing, Information Technology & International Business etc. But in the end, ultimately what matters is your passion and interest in the particular field. Try and find your own area of interest first. Choose the Best College For BBA for your career. Do You Wish To Make Career In BioTechnology? Hey Reader, Greetings from KCMT!! The term Biotechnology is derived from Greek word "Bios", which means "everything to do with life" and , "Technikos", which means "Human knowledge and skills". Biotechnology aims to produce desired health and medical benefits for humans by means of using advanced life sciences, etc. I am attaching a list of courses herewith for your reference, don't forget to check them out.